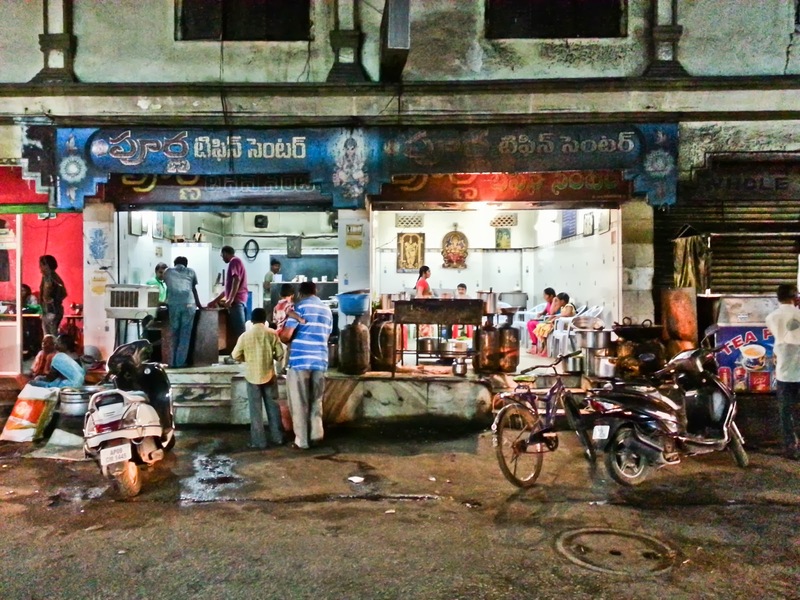 Hyderabad has a decent list of roadside Tiffin stalls (bandis) spread all over the city. Over the years I have been frequenting a large number of them. In this post, we talk about some of the street food joints (or bandis as they are called) that are definitely worth visiting. Located at Gyanbhag colony, near Gosha Mahal (behind Nampally) this bandi is normally very crowded, and they do not have a token system, so you will need to push your way in to ensure you are served. Laxman does not keep track of what you eat so he bills you for what you said you had. Coming to food, they mainly offer idli, dosas and upma. The USP of this place is their green chutney. I have not had this chutney anywhere else in Hyderabad. Though you might not be floored with the chutney during the first visit, it grows on you with each visit and soon you will be extremely addicted to the chutney. 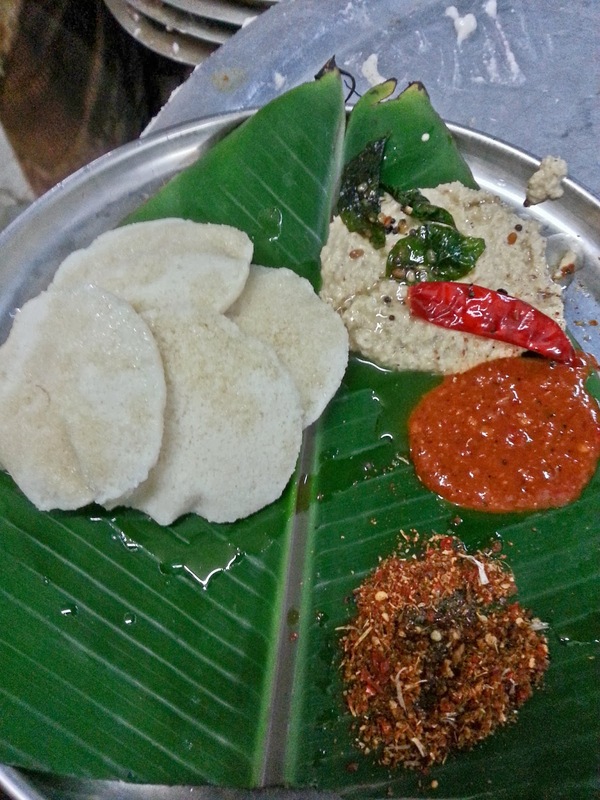 The idlis here are very soft and are topped with gunpowder when served (like Guntur idli). 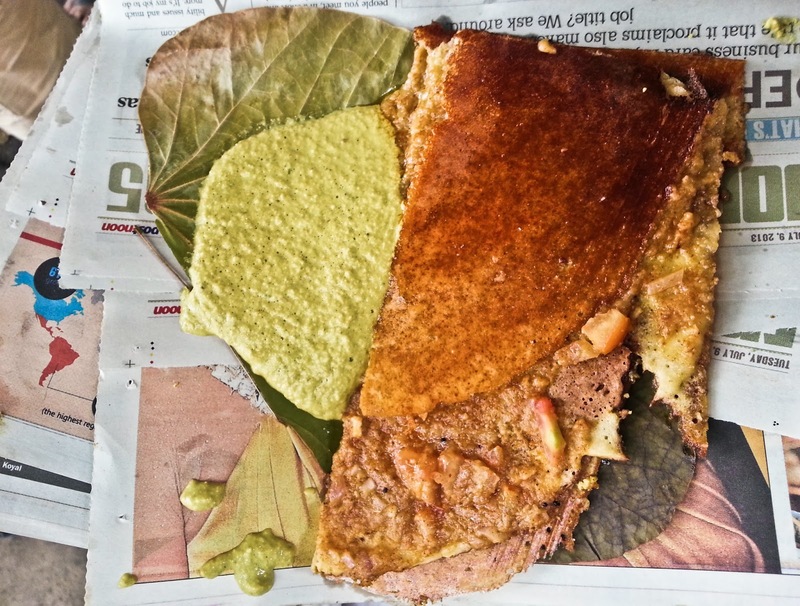 Coming to dosas, the most popular dosa they offer is called the chatpat dosa. 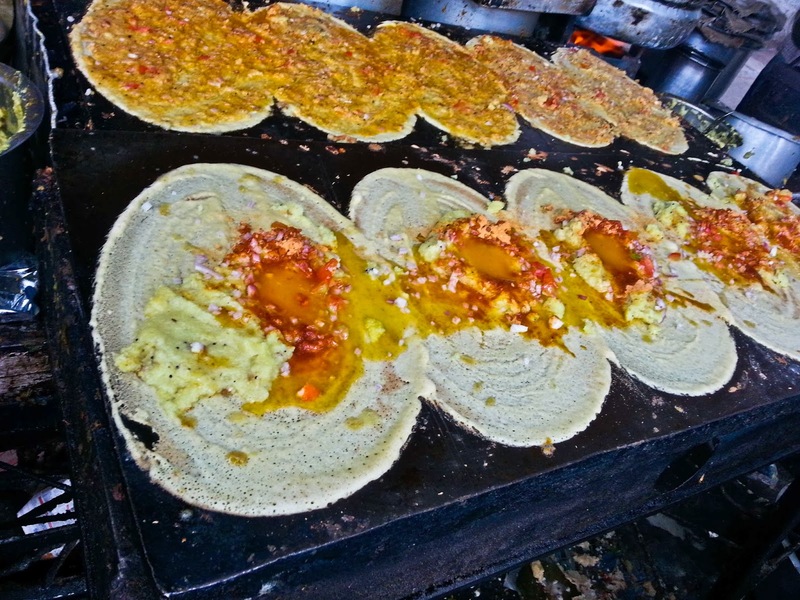 The chatpat dosa is topped with upma, tomatoes, onions, gun powder and lots of ghee. Though it might scare the health conscious, it is a delight to your taste buds. This tiffin center is located in Krishna Nagar (near Srinagar Colony). The ambience of this place is not great, yet I keep frequenting this place for the yummy food! This place use to be very crowded until one of their former employees started his own tiffin center in the vicinity, offering the exact same items for a better price. Now the crowd here is more manageable. They provide for a token system for dealing with the crowds; you need to buy a token before you are served food. They also offer service to your car (provided you can find a place to park). They offer idlis, dosas, poori, pessarattu, mysorebonda, etc. The USP of this place are their butter idlis. 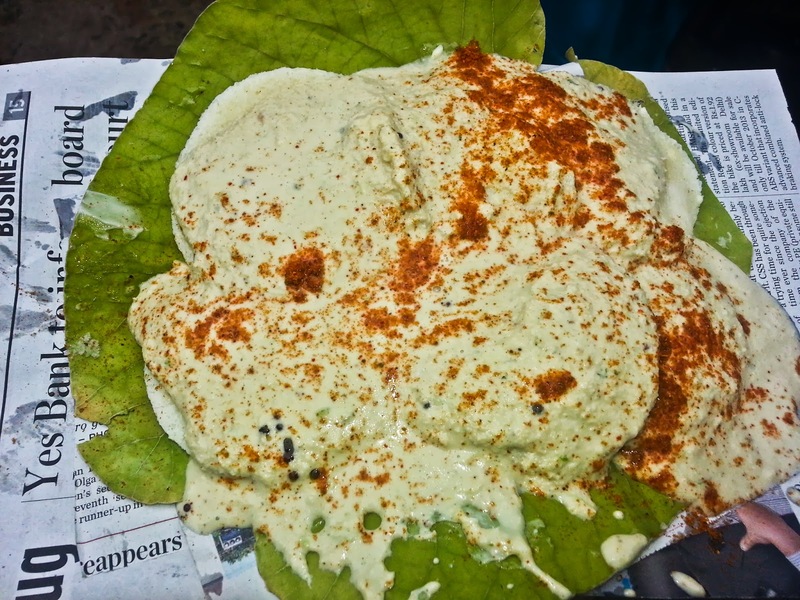 They serve one of the best idlis in Hyderabad and combined with red chutney, the taste is divine! The dosas at this place are nothing to rave about. 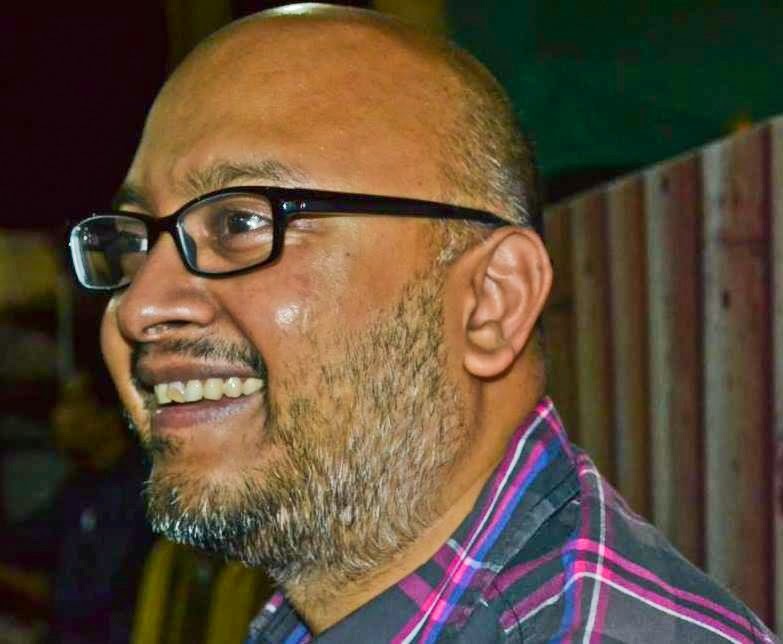 They also serve delicious poori – subji. This is one of the most popular bandis in Hyderabad which is located near Charminar. The first time I visited this place, I was surprised to notice that the crowd here was more manageable unlike some of the other bandis. The USP of this place is there butter dosa. The butter dosas are topped with upma, tomatoes, onions and real cubes of Amul butter. The taste is truly outstanding and justifies all the hype about this place. This bandi is much more hygenic compared to other bandis. They also offer idlis and tawa idlis which are just mediocre and nothing special. This restaurant is located in DK Road, Ameerpet. Run by a team from Tamil Nadu, they offer some great tiffins Tamil style. As it is run from a small room, it can get cramped at times owing to the huge inflow of the crowd which causes most of their items to be sold out by 9:00 AM. The tiffins here are served in a cone made from banana leaf. 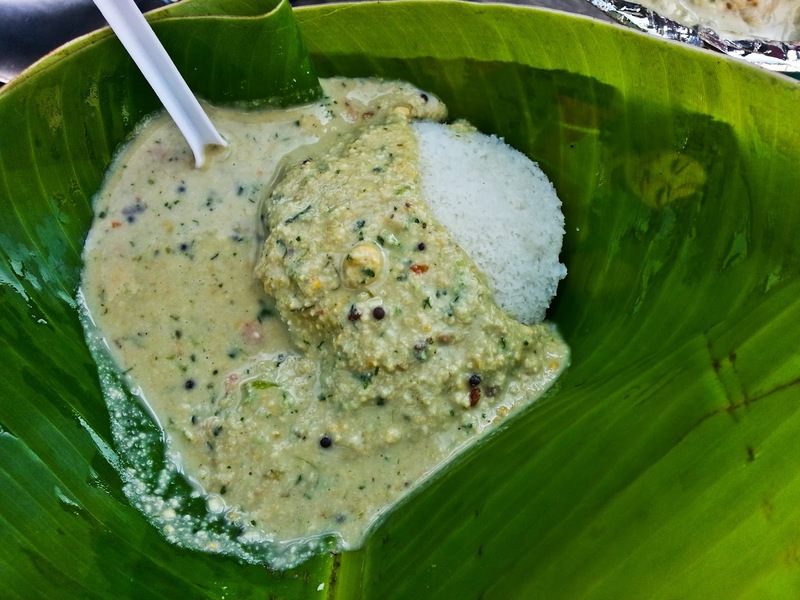 Their coconut chutney makes an awesome combo with idlis and vadas. They also serve decent upma and pongal here. Nice! Keep reading of this dosa/upma combo, also keen to try the MLA pessarattu! I did not know about these joints. i only remember one mud built tin roofed one near kwality. They used to serve Biryanis in the evening but one of the best hyd. biryani i ever tasted. the taste of others are ordinary, except the one near secndrabad rly.stn. You know kol. can boast of it's street foods near office areas. The taste of all the items are excellent. The raw materials as well as cooked items are fresh and not at least bad quality. Possibly you tried them. @Vamsi. I am not a fan of Pragathi tiffins. I found them just OK. We have covered Ram bandi in the next post. Hyderabad has been on our 'to visit' list for a while now. Now I have one more reason to make it sooner. On my earlier visit I had no idea of street food there. Absolutely love the look of the dosas and the idlis. Do you have a post on some good biryani joints there? Of course, I'll look through your blog too. It's really like this blog.Thanks for sharing with us great blog. 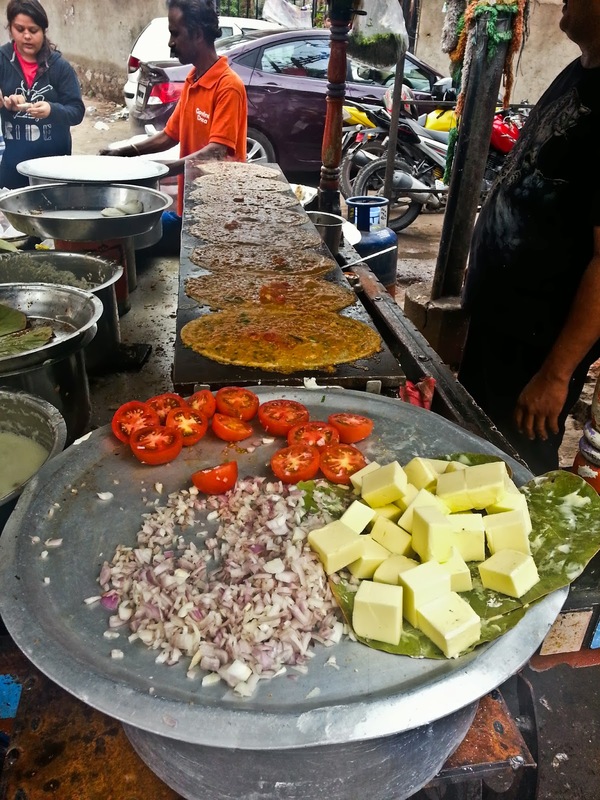 Also make a visit to 'Pragathi' tiffins at Koti,its very famous for Butter dosa..
you missed mahalakshmi tiffin centre in punjagutta opposite Ethames Degree College. pretty good vadai for sure.. apart from that good collection of dosas..